Το 1988, λίγους μήνες μετά την κυκλοφορία του ντεμπούτου των Pestilence ("Malleus Maleficarum"), ο κιθαρίστας της μπάντας Randy Meinhard δημιούργησε τους Sacrosanct, οι οποίοι παρέμειναν ενεργοί μέχρι το 1994 κυκλοφορώντας ένα demo, τρεις full length δίσκους και συμμετείχαν στην συλλογή "This Stuff's 2 Loud 4 U" μαζί με τους Haggard, Torchure, Panacea, Slack Suckers, Dancin' Dead. 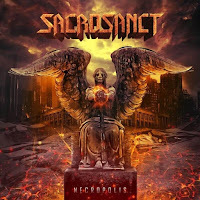 Δελτίο τύπου: «Sacrosanct, the German-Dutch progressive metal outfit founded by former Pestilence (NL) guitarist Randy Meinhard, have returned to the scene after a 25-year hiatus with a new album, “Necropolis”, to be released through Rock of Angels Records (ROAR) on November 30th, 2018. Initially intended solely as a studio project, “Necropolis” was recorded by a brand-new Sacrosanct line-up featuring Randy Meinhard and Christian Göwert on guitars, Richard F. Hesselink on vocals, and Kees Harrison – formerly of Dutch prog-metal act Sphere of Souls - on bass. During the recording sessions, it soon became apparent that the new line-up wanted to continue working together and bring the new material to the stage. With the support of ROAR! Rock Of Angels Records, Sacrosanct are now looking forward to bringing these plans to fruition. 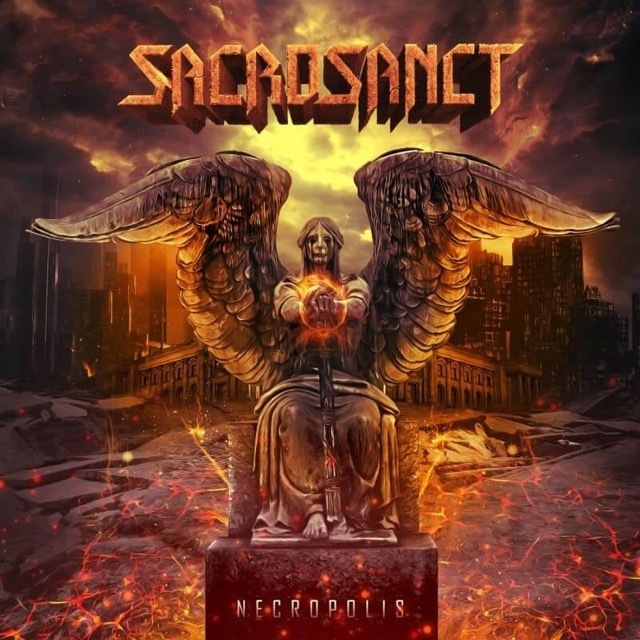 While “Necropolis” bears all of the hallmarks and intricacies that characterize Sacrosanct, it displays a more mature and focused song-writing approach. Songs like “The New Age Of Fear”, “My Last White Light” and “Only One God” are lyrically thought-provoking, creating a brand of metal that still makes the band hard to categorize. Like its predecessor, “Tragic Intense”, which was released in 1993, “Necropolis” places a strong emphasis on melancholy melodies and clean vocals, but also incorporates many harmony guitar parts, faster tempos and some modern twists that mark the beginning of a new chapter for the band. Video: "My Last White Light"